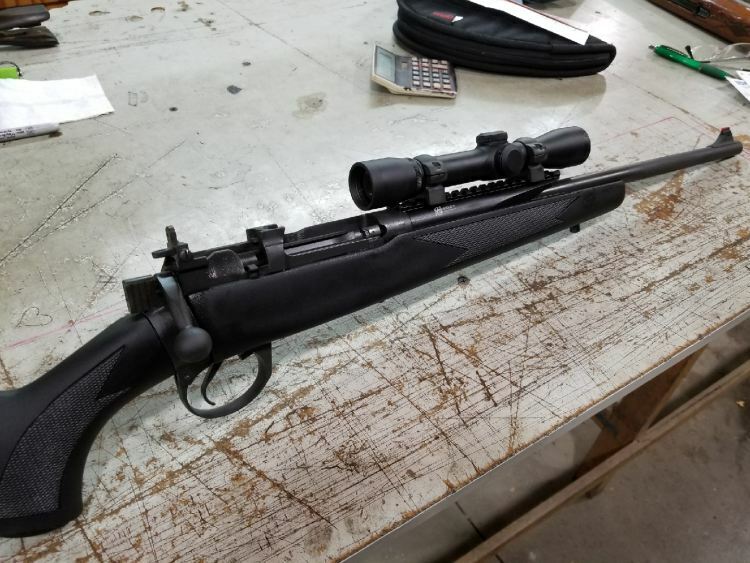 Rossi Rifleman • View topic - Militia rifles 4 non semi states! 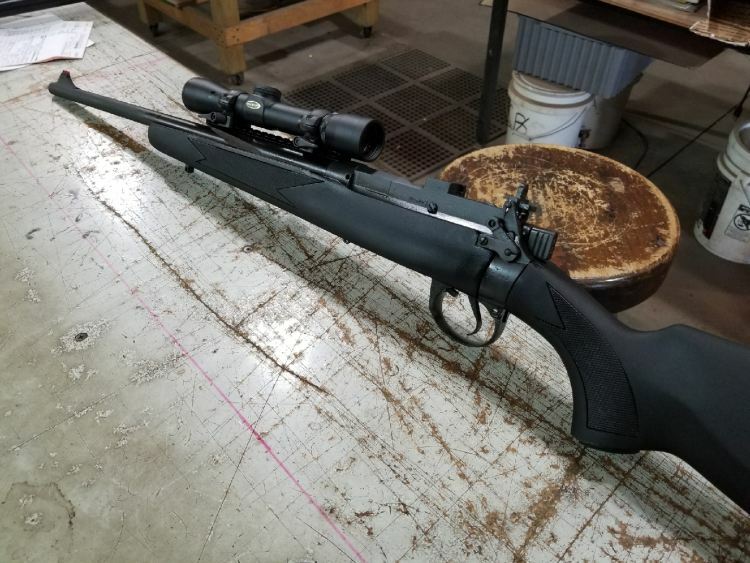 Re: Militia rifles 4 non semi states! HarryAlonzo wrote: For a side mount scope mount, you can use a Williams SM-70 on the SMLE #1 (round receiver) with an adapter plate, or an SM-71 on the SMLE #4 & #5 (flat receiver). One reason I retired my Mauser as a battle rifle was that the sporter stock was too thin and had too short of a forearm to use as a club. 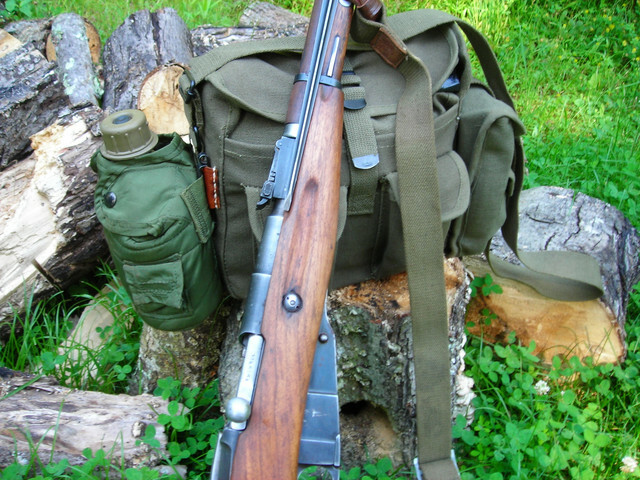 Are you fixin' to restock your Enfield? Wow thanks for the heads up on the Williams mount. Will look into that. You know i’m Meaning to postition the scope beside the receiver ! At this stage I won’t restock the 3 sporters . Although my my last action ( junky ) is missing the charger bridge , & basically just a action but have enough parts to build a few rifles. Unfortunately my 3 sporters are all drilled & tapped & my spare action is drilled for side mounts & know bridge. I think you would be hard pressed to find something finer than the SMLE; 303 or 308. My preference would be for the 303 British because of the rifles chamber cut. Just like the 7.62x39, a bit of slop in it to account for dirt, sand, and mud. I want a scout rifle. I'd rather engage the zombies further out and keep them at bay as long as I can. 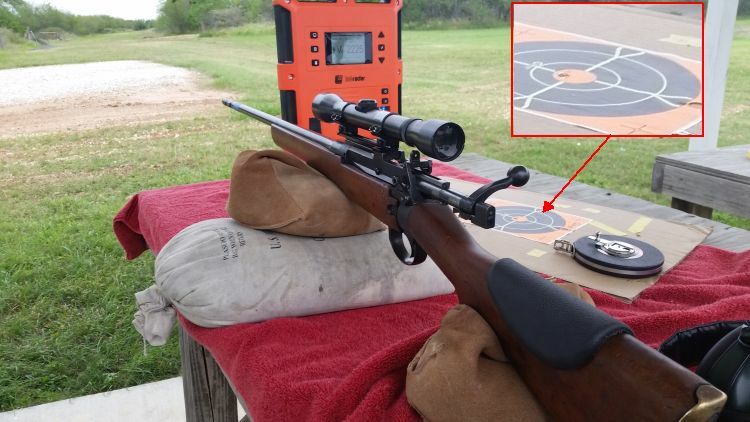 I started with this South Texas rifle that spent its entire surplus life in a ranch truck. I ended up with this, a fantastic, accurate battle rifle that can ring a 10" steel target at 300-yards with every shot. I have seven new, original design, 10 round magazines, plus three new, five round magazines, and four loaded bandoleers with chargers for a total of 285 rounds. I shoot the PPU 180 SPBT with handloads. If I ever run across an Australian International Arms M10-A2 (7.62x39), I will buy it. That rifle is very comely in both the before and after state. As much as I like plastic stocks, it won't make a good club when you run out of bullets. 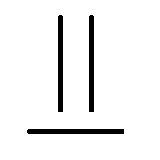 And as much as I like scopes, I think irons are adequate for suppressive fire. I'm just not sure that zombies respond to suppressive fire. I did not know that tidbit about the 303 and 7.62 x 39 chamberings. God help me, I do so love this forum. Ive bought from brass stacker in the past. 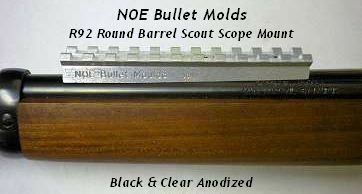 they have what you need for a scout rifle setup, from mosin to mauser. Use to buy mosins, when they were uh, lower in price. This is a carbine(chi-com T53) i picked up for under $150.00. Took a week to restore, looked like it had been drug down the road behind a soviet jeep driven by a chinese conscript, then everyone in the unit carved their initials into the stock, then threw it off a cliff. But it shoots true, and kicks like a red mule. But i always find myself going back to the 30-30. Nice restoration, and great deal! 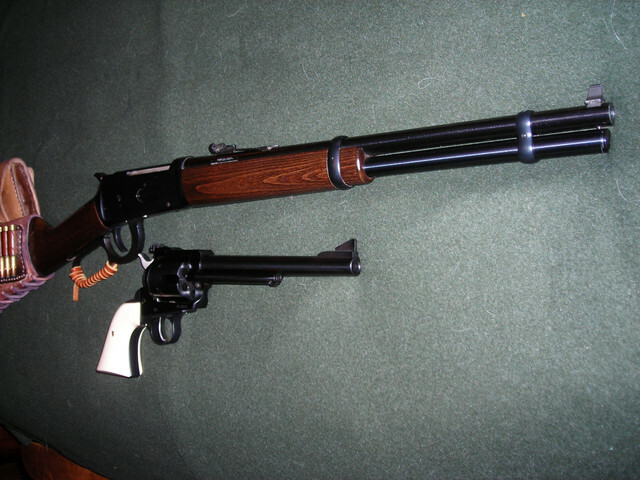 I have two arguments against the lever action as a combat rifle - loading port feed (slow), and prone shooting. Okay, three arguments - When you have to use it as a club, one piece stocks tend to break. There might be another argument - When you drop it in the mud, it stops working. For this last one, I have to depend on the kindness of strangers. I'm not testing any of mine. Whether it fits the bill or not depends a lot on range and terrain. If the terrain is rolling or wooded and engagements are likely to be short, the lever is excellent. If the terrain is open and approaches are visible for a mighty long way away then most bolts will perform better. Also prone with the lever is possible but the action of the gun is better at almost any other position and generally requires more movement/adjustment and sight reacquisition than most other actions to reload from that position. From other firing positions it is faster and can often be held on target through cycling the action better than many other actions especially with a little practice. HarryAlonzo wrote: Nice restoration, and great deal! An oversized chamber is good in a combat rifle for allowing the rifle to fire with dirt and grime accumulation in the chamber, but it can cause the brass to deform badly and sometimes leaving you with split cases. The steel cases recovered from my mosins are usually split. to the point that i never bothered buying brass for reloads, fearing they would only be good for one reload. if a person isnt worried about saving brass for reloads, it wouldnt matter. But if a person was living off the land, with only what they could carry in a militia pack, you could carry a small reload kit like a lee hand reloader, one or two lbs of powder, couple boxes of primers, small pot for melting wheel weights, small ladle, one mold,etc. if your rifle has a tight chamber, 100 pieces of brass could last a person a lifetime. stripper clips give the mosin faster reloads, but once you start that stripper clip, your out of battery until you get the rounds pushed in and the clip removed. I have jammed and fumbled with those clips in the past,hate to do it in the dark, or while under stress. 30-30 loads one at a time, but the rifle is only out of battery while that one round pushes through the loading gate. and you can do single loads through the top rather quickly with spitzer bullets in a 94.
dont know if i could sustain a large rate of fire with a hard kicking rifle caliber. 30-30 is a bit milder. If im in a position where i have a number of attackers up close, i can work the lever faster then i can the bolt. But i am rather clumsy when it comes to bolt rifles and stripper clip feeding. 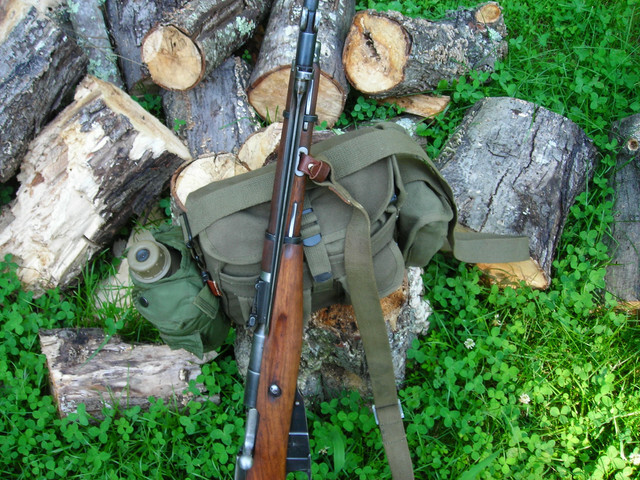 SKS would be the ticket, but OZ said no semi autos. this is a pic from brass stacker. 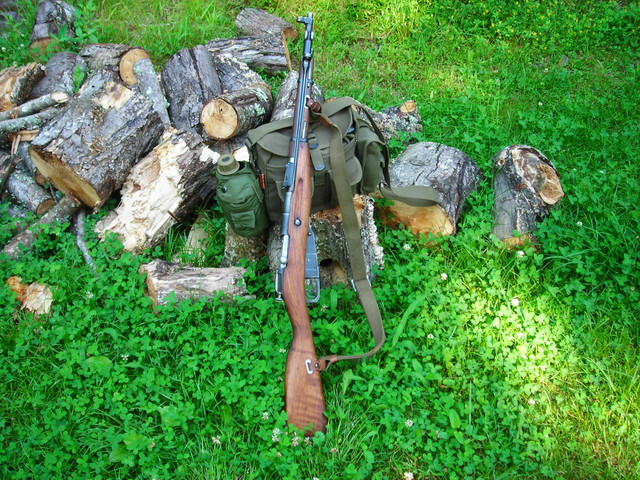 This little SKS would be the ticket, but it is semi auto. I hope you have an easier time of it Oz! Mad Trapper wrote: this is a pic from brass stacker.